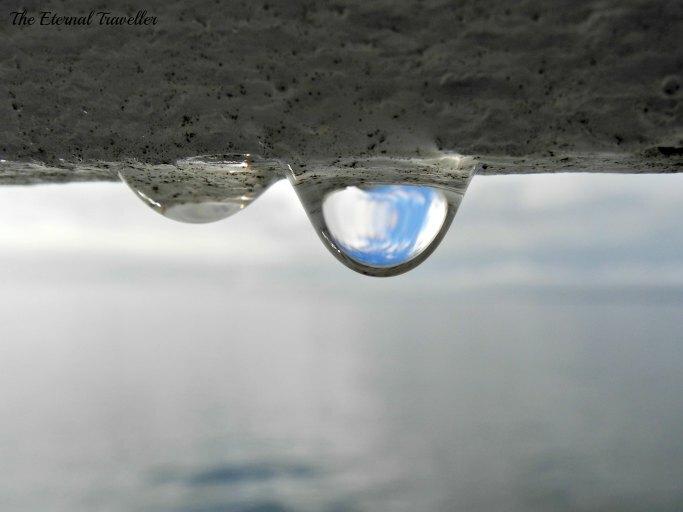 A drop of rain clinging to the underside of the railing at Busselton Jetty catches an image of the sky. I’ll be looking for more opportunities like this too. Thanks. If there’s one thing I’ve learned from taking photos for my blog it’s to take notice of the small things. Thank you! You certainly found a rare find! 🙂 Call or chat me when you get a chance. I will get on to it. Beautiful Carol. The image is alive with anticipation of the drop falling. Thank you. I hadn’t thought of it that way. It was a bit of luck and good drop-spotting! Thank you. That’s a great compliment. I hope to get more shots like this with my new camera. Thanks. I need to look for the small details more often to get more photos like this! Thank you. Focus can be a problem for me too. I need to practise some more! I was lucky this time. Thanks. It was perfect for this challenge luckily. That is a brilliantly clever photo! Thank you. So many people have loved it which is a great compliment. Leanne Cole of http://leannecolephotography.com/ has taught me so much about looking for the details. She is a wonderful teacher of the art of taking great photos.